For the veneers to be bonded to the teeth without appearing unnatural or bulky, the patient’s teeth must first be shaped, or prepared. During the preparation, a minimal amount of tooth structure is removed. 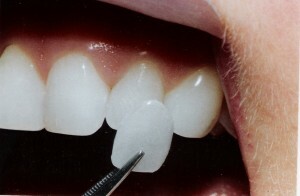 Following tooth preparation, the patient will wear a set of temporary veneers. This serves two purposes: one, to cover the prepared teeth while the veneers are being custom created, and two, to allow the patient time to get used to his or her new smile. After the teeth have been prepared and the porcelain veneers are ready to be applied, the patient will come back for a second appointment and have the veneers attached. At that point, the patient is free to enjoy his or her brand new, perfect smile. Many patients wonder if they will experience pain as their teeth are prepared for veneers. Most are relieved to know that only a very small amount of tooth matter is removed during preparation, and most patients don’t experience significant pain. Tooth preparation simply removes a thin layer of enamel on the tooth’s surface to provide smooth, non-bulky results. If you’re unhappy with the appearance of your teeth, you can be happy with your decision to choose veneers! Patients can expect to experience very minimal, if any, discomfort as their teeth are being prepared for veneers. However, we want our patients to feel as comfortable as possible, so we offer sedation. Using nitrous oxide, oral conscious sedation, or IV sedation, patients are able to completely relax as their teeth are being prepared for veneers. Sedation minimizes any discomfort the patient may feel and keeps him or her relaxed. Because at least some tooth preparation is usually necessary before veneers can be applied, patients should be sure they are ready to commit to veneers. 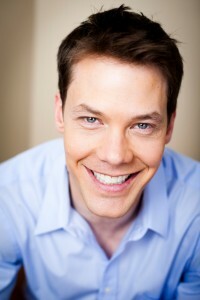 The only way to find out if veneers will be the best treatment option for you is to schedule a consultation. While veneers are designed to last several years, patients should be aware that they won’t last forever and should expect to replace their veneers down the road. Patients with veneers should be careful not to break them. This means avoiding habits such as chewing on ice or biting one’s fingernails. Porcelain veneers can provide beautiful results that completely transform your smile. If you’re ready to get the smile you deserve, contact us by calling (703) 997-0928 or filling our our contact form. We love helping patients in Fairfax, VA experience the benefits of veneers!